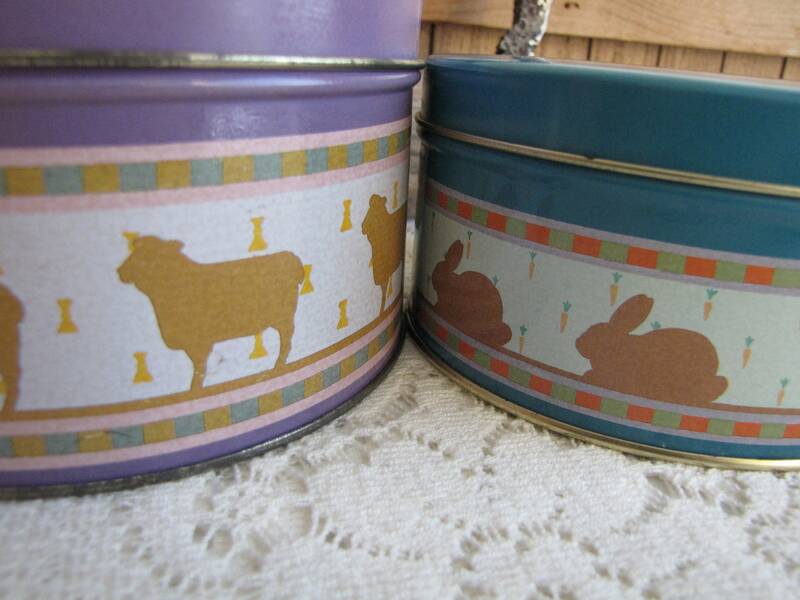 These tins called Hearth and Home Nested Tins are two of a three piece set of tins. 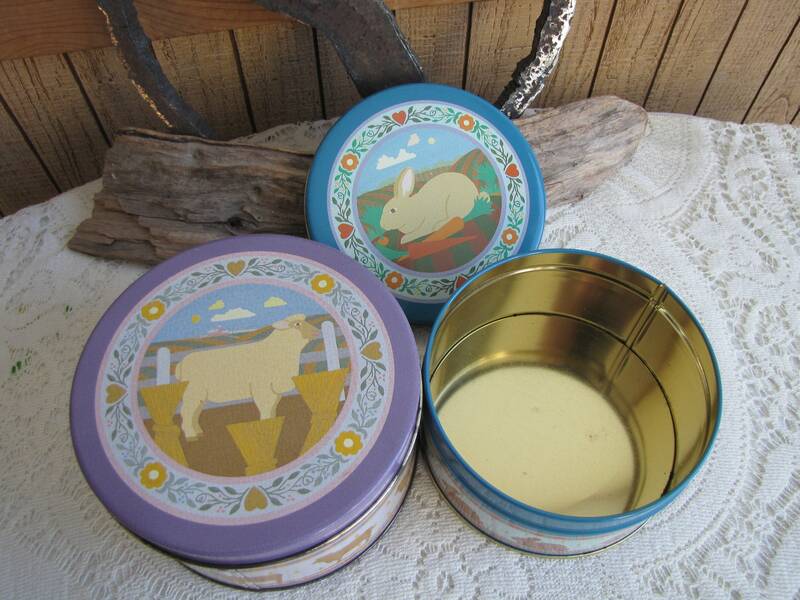 From 1986, by Current, Inc. Colorado Springs, CO 80941 the tins are in very good vintage condition. 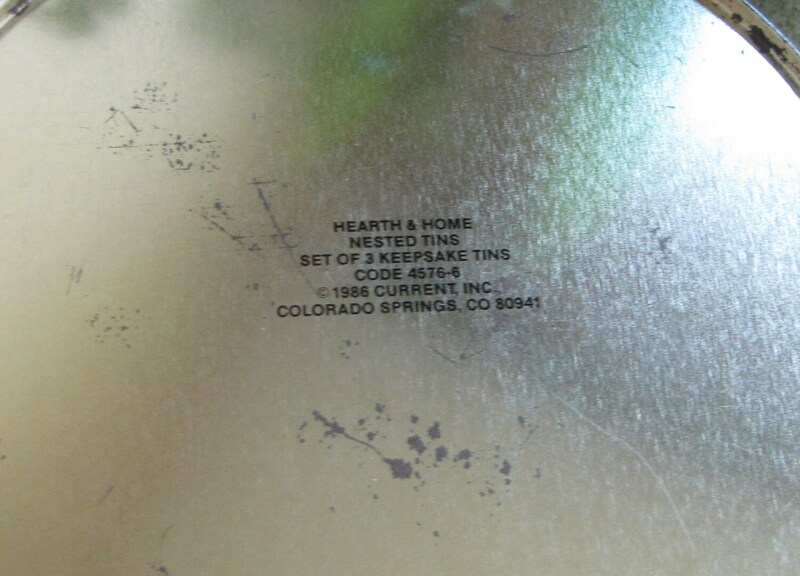 No dents or rust. 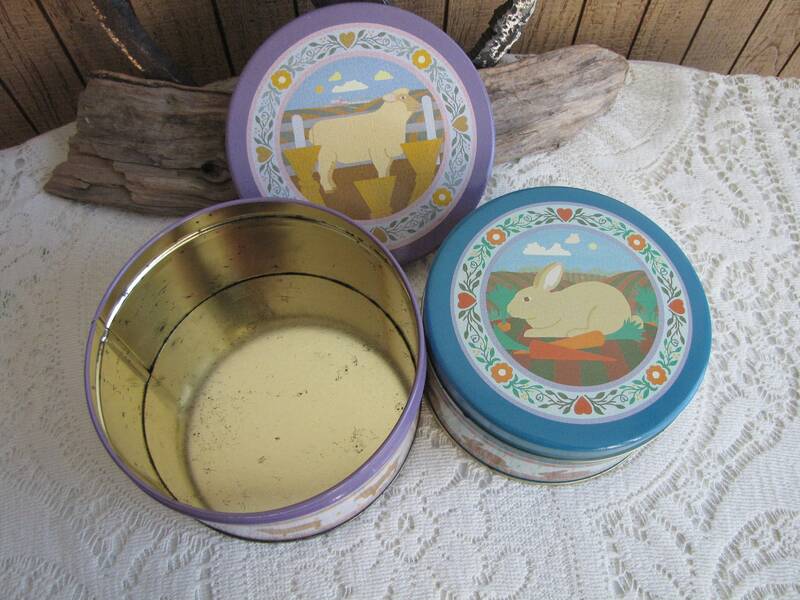 The insides are gold-toned and have some marks, yet clean. 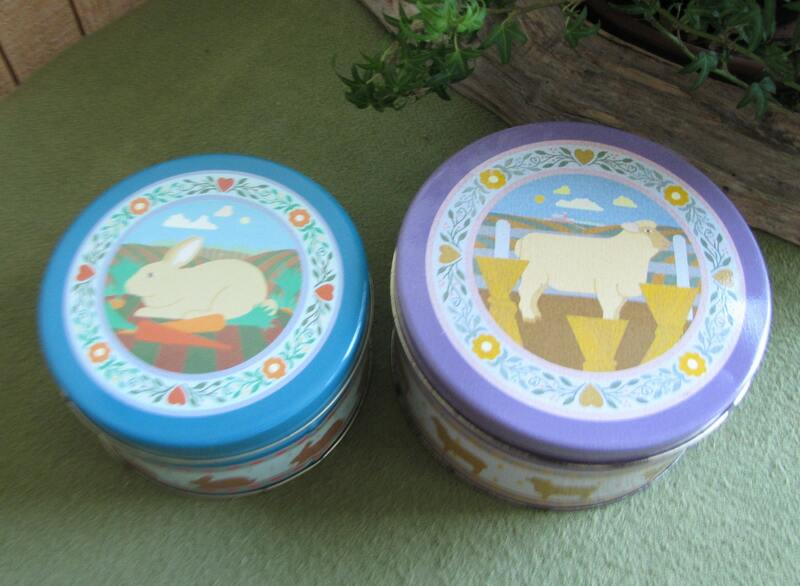 The larger tin with a sheep print measures 3 inches tall and 5 inches in diameter. 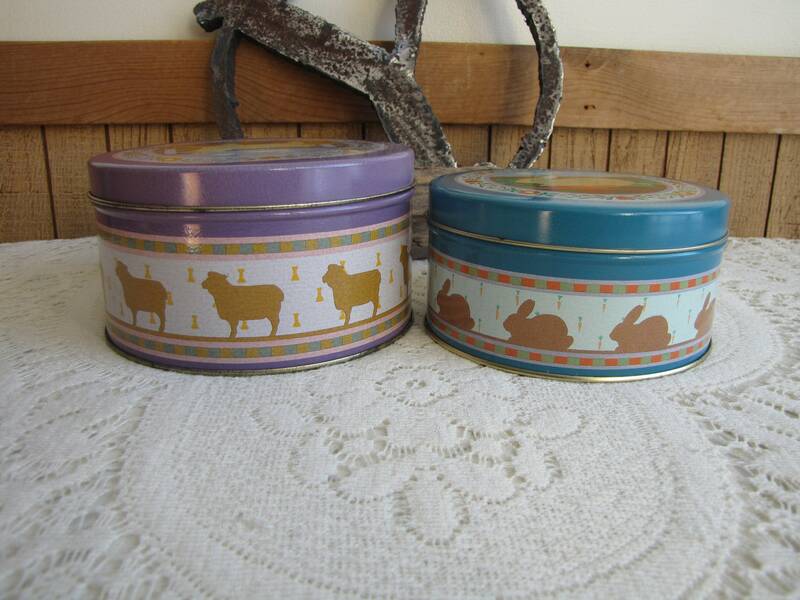 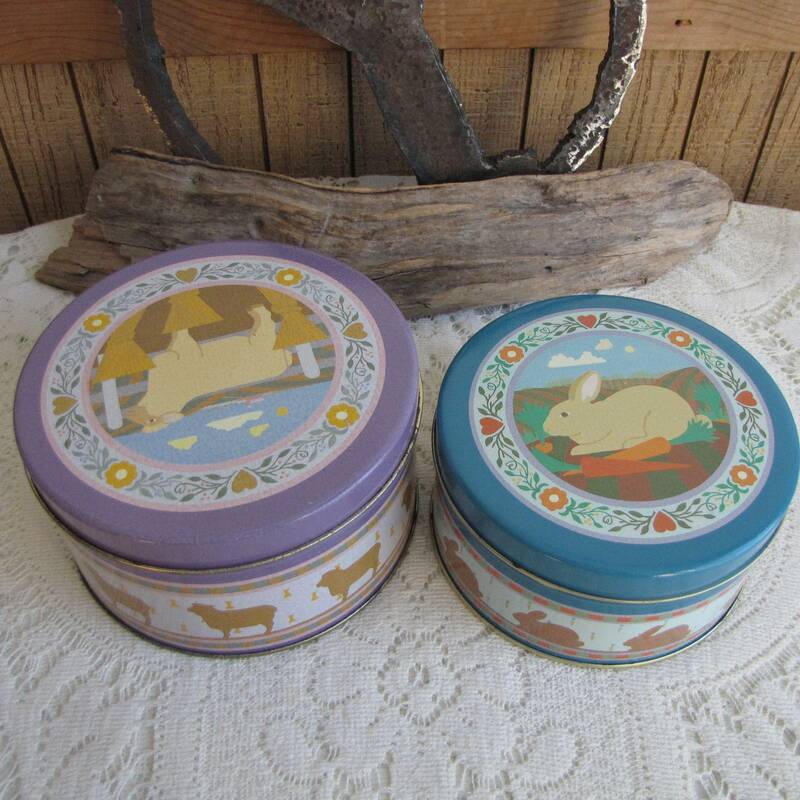 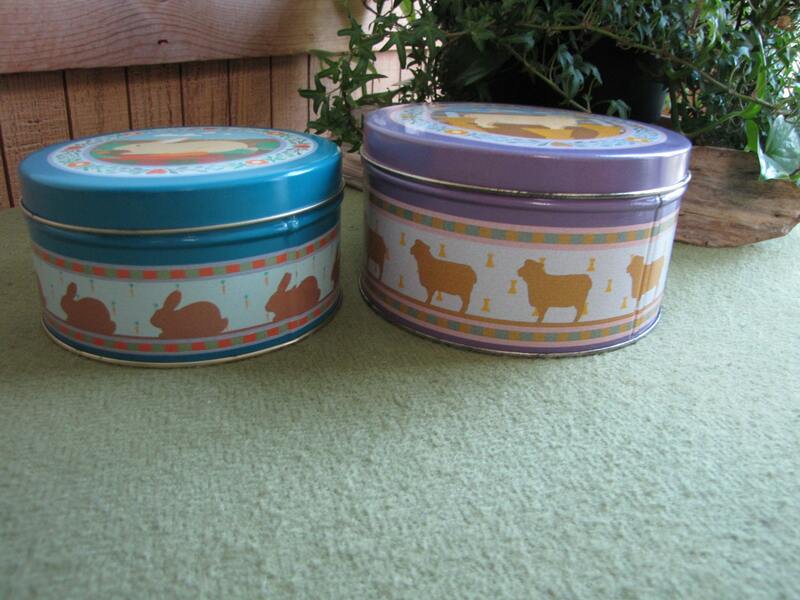 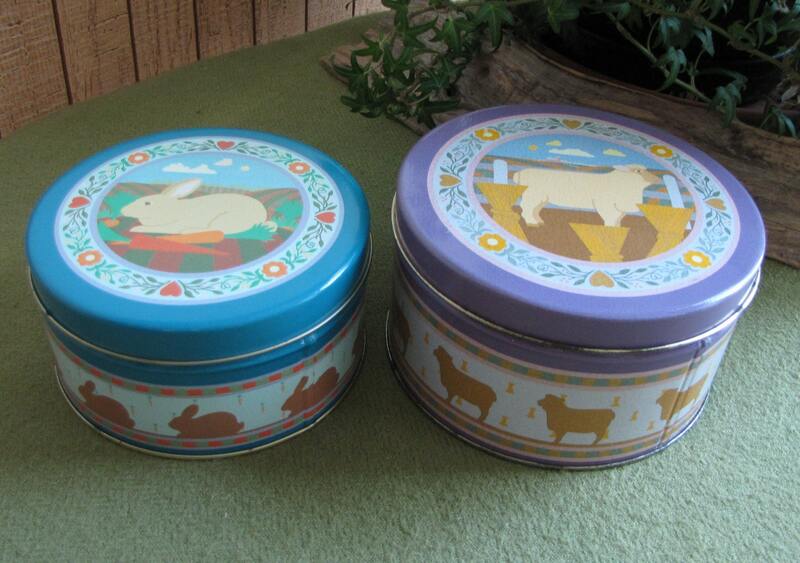 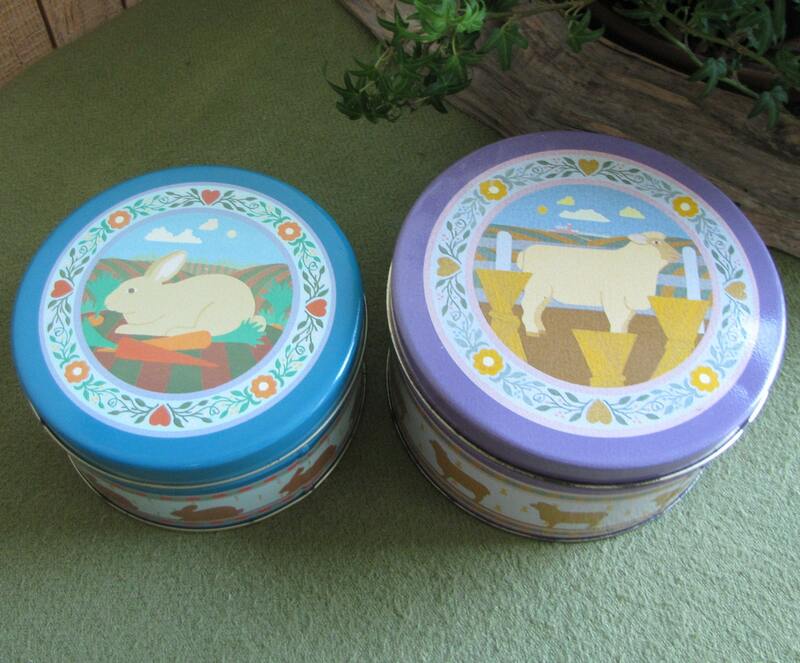 The smaller tin with a bunny print is smaller and nests inside the sheep tin.